A business plan is something that determines your business’s future and basically tells your plan in order to run your business more effectively and efficiently. Writing a business plan doesn’t have to be boring or complicated and it certainly does not have to be too long that you yourself find it difficult to understand your plan. In fact the longer your business plan is they are less likely you will use it. A business plan is meant to be used it’s meant for you to make use of and revisit. Often it’s not something you create once and stored in some remote part of your hard disk. 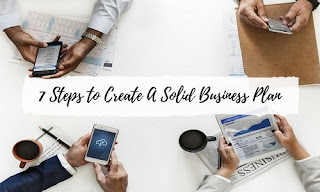 If you find overwhelming, tedious or think a time to consume to write your business plan then here are 7 steps that will help you to write a solid business plan for your business. Writing your business plan on a single page can be much less daunting and something you can easily use and modify as needed. It’s a much more efficient and faster way of writing a business plan. One that you will actually use and will not take a lot of time or effort on your part as a traditional business plan. If you are going to create a product or service that people want to buy then you are going to have to first understand the needs of your customer, their fears, frustration, challenges, and desires. If you do not have a need for your product then there is no point in creating it in the first place. But, that is exactly what many aspiring entrepreneurs will do. They will often spend months and sometimes even years developing a product or service that no one has any interest in buying. This is probably the most inefficient way to create a sustainable business that will create real results. Instead, it is better to get input and feedback from your customer while developing your product. Firstly, ask at least 5 to 10 prospective customers or clients what challenges they are facing and if they have the need for your solution, if not keep thinking deeper until you have something your customers might be interested in buying. Armed with this knowledge and you will find it much easier to develop your solutions. You have probably already know the importance of demographics, age, gender, location, etc. but many entrepreneurs often overlook are, factors like customer’s interest, buying behavior, etc. Knowing these things may seem trivial but, it is extremely insightful to have the state at your disposal. If you do any sort of advertising on Facebook then knowing your audience’s interests can help you target the right people. If you are going solely on basic demographics then you won’t be targeting your ideal customer and you will end up paying more for traffic. 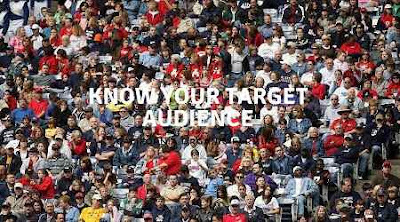 To find out who your ideal target audience is, you can use tools such as Quantcasr.com and Facebook Graph search. These tools will give you a little-known insight about your consumer, their interest, household income, purchasing behavior, etc. 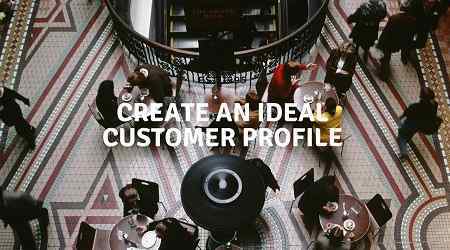 Once you create a basic profile of your target audience then you will be in a much better position to create a solution that your potential customers will be interested in buying. 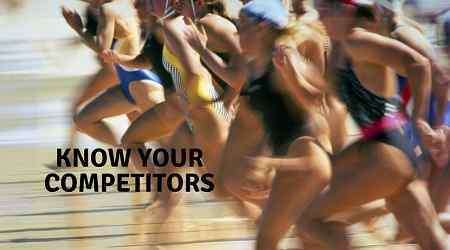 If you don’t know who your competitors are then it will likely be an uphill battle to become relevant in your industry. One of the most important first steps you can take is to identify your top five competitors and study their business, their products, and services, pricing, sales funnel, etc. Once you have identified your primary competitors then it will be much easier to find a way to differentiate yourself from them as well as knowing how to price your products, what solutions to develop and create in your sales funnel. There is no point in reinventing the wheel if something is already working for your competitors. All you need to do is create better products and services, offer something they are not offering, such as a better guarantee, lower your prices, provide more value, etc. In this way, you will be much more likely to create a business that has been proven to work and your job is to develop the best possible products and services for your clients and prospects. 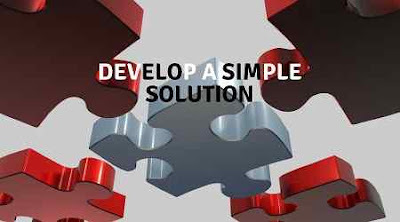 If you are going to develop a product or solution centered on customer’s problems or needs then it will be much more useful to think about creating your solution with minimum features that will solve their problem. It’s important to realize that you will not build a perfect product the first time around and you will not certainly develop a perfect product without any input from your ideal customer. So, when developing your product or service first, focus on creating a Minimum Viable Product (MVP) which is a bare minimum product that your customers will be willing to pay you for even if it does not have all the bells and whistles. Once you create and test your MVP in the marketplace, you will know if there is demand for your product or service and you can go on developing version like 2.3, 3.0, 2.1, 3.2, etc. By the third or fourth iteration your product will start to look much more polished and something your customers will be lining up to buy. They are ones that help you build it, so initially when writing your solution on your business plan think of the top 1 to 3 features that your product will have which will solve the problem. It is important to create your solution to their needs and only include the minimum set of features that will capture their interest in trying out your services. As you learn more about your customers and get their feedback, you can start to add more features to your products and services if needed, as your products or service develops. The reason why many startup entrepreneurs fail to gain any traction in a competitive marketplace is that they don’t have anything that differentiates them from their competition. Too often they are simply copying what is already out there in the market. Instead of uniquely positioning themselves and give an upper hand on their competition. You can do create this unique positioning by creating what is known as a unique selling proposition. It is the answer to the question, what you do differently than your competition. A lot of entrepreneurs simply say things like we are better, we are faster with high quality, etc. But anyone can claim that they are better, faster and higher quality. It is not enough to call yourself these things, instead, it’s much more effective to offer something that your competitors won’t be able to copy that easily and if they do it may affect their bottom line since they cannot offer it the way that you do. Many business owners won’t give a money-back guarantee if the customer is not satisfied and even if they do it will only be for 30 days. So, if everyone in your marketplace is offering a 30 days money-back guarantee then why not offer 60 days or 90 days or even 1 year. A lot of entrepreneurs with fear that they will lose money because the customer has more time to the fund their products but in fact the opposite is true. If you create a quality product that actually delivers results for your customer or client then they are most likely to stick to your business for a long term. They will appreciate that you have placed enough trust in them to provide them with that sort of guarantee and your customers will trust you even more. So, when creating your USP, think in terms of what you can do differently than what is already being done by every other competitor out there. Is there something they are not offering that you can offer, can you deliver results faster than your competitors, is your customer service experience is better than your competitors in terms of quality and responsiveness. When creating your first product or service, it can be really a challenging job to know how to price your products or services. A lot of times, entrepreneurs will simply get what is the ideal price point for their products and will price it accordingly. 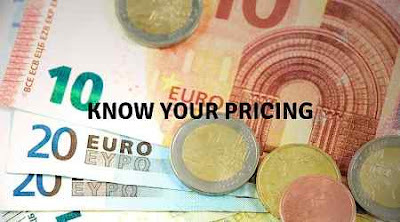 However, instead of guessing why not first see what prices your competitors are using and then use that as a starting point. Once you have your starting price, the next step would be to test three different price points for each of your product. This way you can determine which price point is ideal and settle on the sweet spot. It is important to know that your pricing also depends on how well you position your product and build value on your sales pages. if you don’t do a good job of building value and interest then it will not matter how low you price your product. 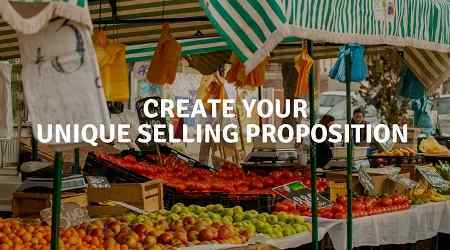 People will simply not buy your products, but if you do a good job of conveying the value on your sales pages then you may even be able to price your products much higher than your competitor. Knowing which platforms you are going to use to create awareness about your products and services is very important when you are launching your business. There are many ways to market your product. So, it is important to pick the one that will best suit your business. 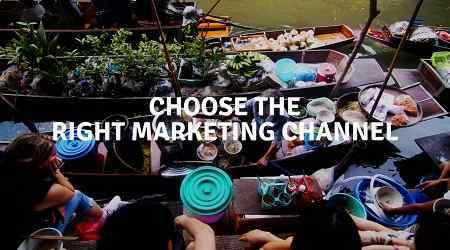 Choosing the right marketing channel doesn’t have to be complicated. You will simply need to find out where your ideal target audience congregates or hangs out and use that as your starting point. It is usually a good idea to start marketing on one platform before moving on to the next. You don’t need to be on all platforms. If your primary channel is social media then pick one like Twitter, LinkedIn, Facebook, etc. 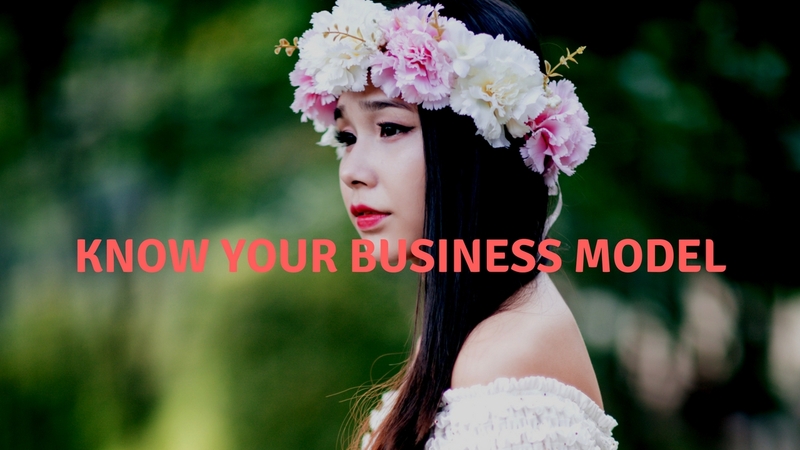 When starting your business, it’s important to know how you are going to monetize. Knowing your business model answers the question; how do you do I make money. There are many business models to choose from but, it is important to identify and select the one that will make the most sense for you and that has the greatest return on investment. So, as you can see creating a business plan does not have to be long and arduous. If you follow these 7 steps and write everything down on a single page, you will have a business plan that will be easy to use. Once you go through these 7 steps, you will find that you will not only have a solid business plan but, something you can use again and again. Thanks for posting such an informative post. I indeed enjoyed reading until the end. Yes, without a proper business plan a business might run but in certain times it will face lots of difficulties. Thanks admin for this wonderful article. Your blog inspires readers. Really a nice article for startups.